By default, vScope Billing offers you to add prices to the most commonly used tags for billing. 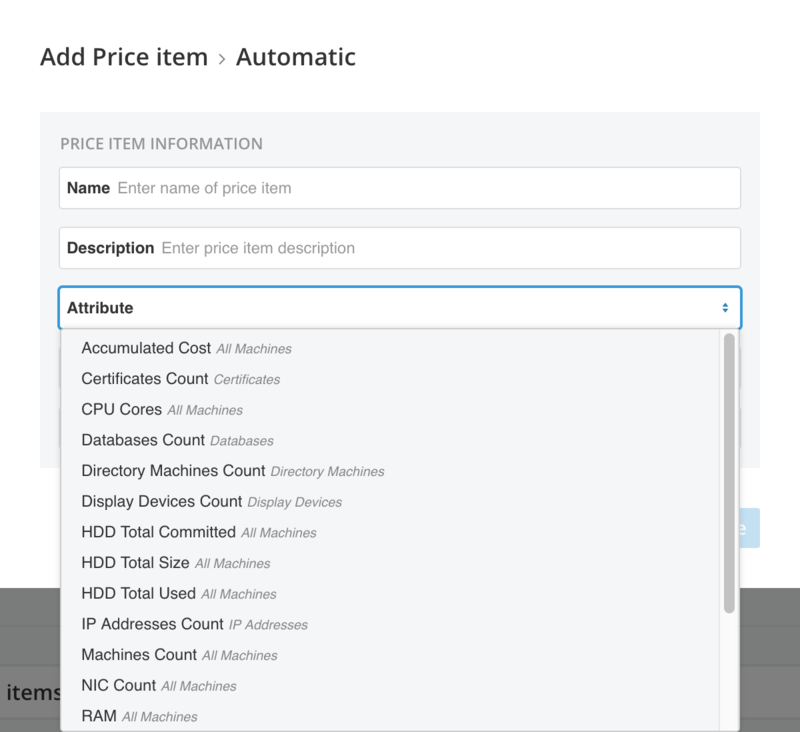 However, on the Billing settings page you can customize what tags to be available as attributes when creating a Price item. Adding a tag makes it available as an attribute in vScope Billing. There are two tables showing. The left shows tags not available for pricing and the right is the tags that can be found in vScope Billing. There are also a button “+Add resource count” which will add an attribute that counts the number of elements for the selected resource. The added tags will be available under Manage Price Lists => Price Item => Automatic Quantity. Remember that you are only allowed to remove a tag that is NOT in use in any price list.